SIBANYE-Stillwater is to place shares worth R1.8bn in an effort to minimise the impact on its balance sheet of the ongoing strike at its gold mines and to head-off potential disruptions that may flow from wage negotiations in the South African platinum sector. Up to 108.9 million shares would be placed by means of an accelerated book-build with institutions, equal to 5% of the company’s share capital and the maximum it is allowed to sell for cash. The proceeds will be put to debt reduction taking net debt to earnings before interest, tax, depreciation and amortisation (EBITDA) to a ratio 2.3x from 2.5x currently. The group, which last year used $400m (R5.6bn) of some $500m raised by selling metals in a so-called streaming deal to lower debt, said the economics of the industry had improved owing to rand weakness and better platinum group metal (PGM) pricing. 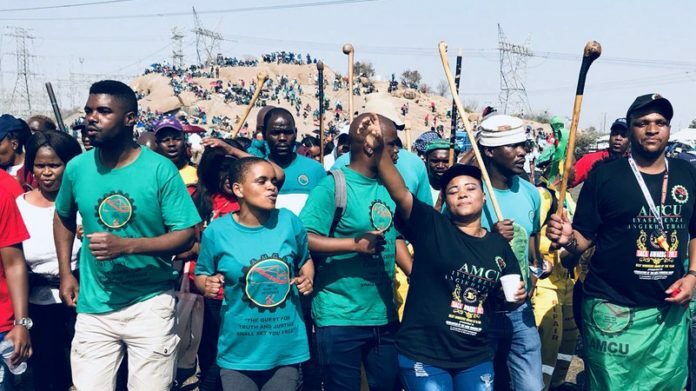 But the strike waged by the Association of Mineworkers & Construction Union (AMCU) at its gold mines since November and “… the commencement of upcoming South African PGM wage negotiations at the end of Q2 (second quarter), pose potential risks that require due consideration,” it said. In the event there were no disruptions from wage negotiations, the share placement would be a segue to the resumption of dividends, the company said. “The new proceeds from the placing will enhance balance sheet flexibility and ensure that group leverage is appropriately reduced,” the company said. “Management has confirmed that should these uncertain events be successfully navigated and appropriate gearing levels maintained, the resumption of dividend payments, in line with the existing dividend policy, are anticipated,” it added. In its announcement, Sibanye-Stillwater also described an uninspiring first quarter operational performance in which its US-based Stillwater mine got off to a slower than anticipated start to the financial, compounding group problems. Stillwater’s production guidance was unchanged, however. The South African platinum mines at Rustenburg produced 234,000 ounces in PGMs which was in line with guidance. The focus, however, was on the gold mines where AMCU has refused to accept a three-year wage offer signed by rival unions including the National Union of Mineworkers (NUM). The strike, now approaching its fifth month, had resulted in the death of nine people and significant damage to property. At some 104,000 ounces for the quarter, production was 90% of anticipated production levels, but only 36% the level of production of the first quarter in the previous financial year. “Unit operating and all-in sustaining costs will be negatively impacted by the reduced production levels,” Sibanye-Stillwater said. Joseph Mathunjwa, president of AMCU, steadfastly refused to bow to pressure today despite attempts to negotiate a compromise, saying his union would not accept the Sibanye-Stillwater wage offer. Instead, he styled Neal Froneman, CEO of Sibanye-Stillwater, as a bastion of white privilege. “Neal Froneman and his Mafia are the last battalion of exploiters. If you look where they are coming from it’s Cecil John Rhodes and Charles Rudd from Gold Fields,” said Mathunjwa during a public conversation with Bernard Swanepoel, a former CEO of Harmony Gold, during the Platinum Group Metals Industry Day investment conference. So it comes down to : ALL BLASTER AND NO SUBSTANCE ! Now SGL needs to raise a meagre R1,8B to avert strike impacts whilst promising dividends thereafter….PREPOSTEROUS ! How much dividend sum amount ….R10M ….R100M ? Its peers are paying out >$150M in dividends …..and will certainly not be looking for cash from shareholders via institutional placings. It means the banks have said : Thanks BUT NO thanks! Institutions are getting a discount on the current share price and will simply flip them and pocket the profits ….AT long-term shareholders expense! The situation seems to be very circumstantial. The question is who gains from this? And now, ladies and gents, the main event begins..
Congratulations to those that managed to stay out of the fight.